Liversedge, nicknamed ‘the Horse’, had a huge influence on the rugby scene in China in the late 1920s, his legacy continued in Shanghai through to 1940. Born in California in 1894, he was a freshman at the University of California in 1914. During his first year, rugby was the football of choice on the west coast of America. In that year he trialled and played for the University rugby team. The popularity of rugby football however was on the wane; American football was regaining its popularity following the crisis in American football 1906 that had precipitated a move back to rugby on the west coast of America. The issue in 1906 was violence in the sport, one commentator wrote ‘Football to-day is a social obsession-boy-killing, education-prostituting, gladiatorial sport… I do not know what should take its place, but the new game should not require the services of a physician… and the celebration of funerals.’ By 1915 the University, in line with most of the west coast, reverted back to playing American football. Liversedge again made the grade, playing in the Californian XI. He enlisted in the U.S. Marine Corps in May 1917, in time to travel to France as part of the American Expeditionary Force, arriving in September 1918 just two months before the Armistice. He stayed in France until June or July 1919 before travelling back to America. 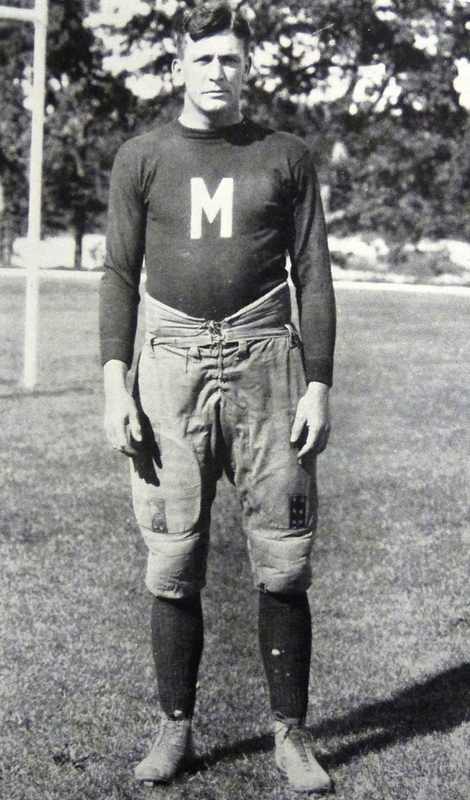 He continued his representative football career with the Marine’s Quantico team from 1921 to 1924, captaining that team in his last year. He was a coach of the All Marine XI team in 1925 and 1926. His sporting credentials extended beyond football. He threw the shot put in the 1920 Antwerp Olympics winning a bronze medal. In 1924 he travelled to Paris as an alternate in the shot put team but did not participate in the competition. Under Liversedge’s tutelage, the US6M learned quickly, beating the East Yorkshire Regimental team on Thanksgiving Day 1927. So successful were the Marines rugby adventures in Tientsin that they arranged a one month visit to Shanghai to play rugby. There ‘special duties’ trip was very successful, astounding the local rugby players with their speed, strength and newly acquired rugby skills. Rugby in Tientsin was about the most uncomfortable game you could play. The wind came biting down from the Gobi Desert in the north, whipping up the soft, flaky topsoil on their pitch, whisking it into the players’ eyes and the cuts on their knees… But the former Scottish internationalist reveled in the game and was soon reviving the elusive speed that had been so devastating on the Gracie-Liddell wing. The anticipated military problems in Tientsin never transpired and so the U.S. Sixth Marines returned to Shanghai being subsumed within the U.S. Fourth Marines. In October 1928, Liversedge and eight of his rugby team were back in Shanghai. Their first game as the Shanghai based U.S. Fourth Marines rugby team was played on 11 November 1928 against a 14 man Shanghai Scottish team resulting in the Marine’s first of many successes in Shanghai over the next 13 years. 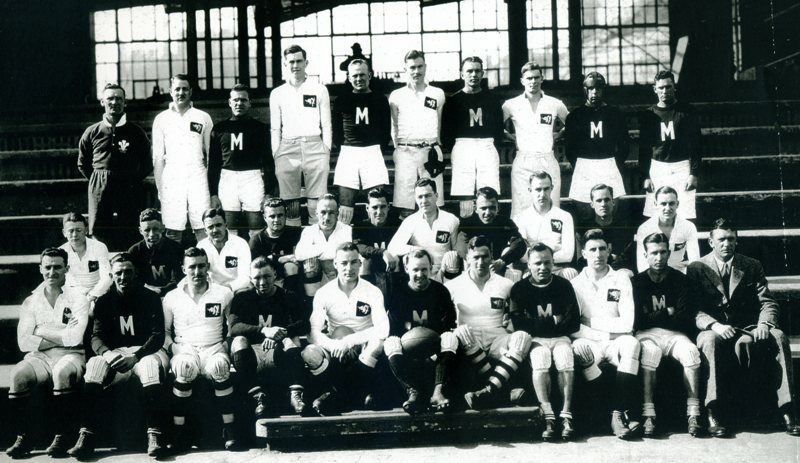 The U.S. Sixth Marine (black) based in Tientsin on the occasion of their spring 1928 visit to Shanghai (white) to play rugby. Coach Liversedge is sat on the front row, far right. The arrival of the Marines on the rugby scene coincided with a huge growth of rugby in Shanghai which lasted for the next decade. The interport fixtures with Hong Kong were by now firmly established as were annual visits to Shanghai by a top Japanese University rugby team. A French team started playing in the early 1930s and a locally based Japanese college also started at this time. This together with the annual rugby championship, the Spunt Cup and ever present British army and navy teams led to an average of 68 rugby matches being played in Shanghai each season over the next 10 years. 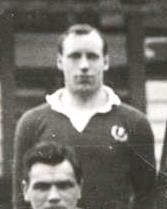 In August 1929, Liversedge was posted back to the United States but the rugby team that he started, named The Thundering Herd by the Shanghai press, continued playing rugby in Shanghai until 1940, winning the Shanghai rugby championship six times and on occasions, beating the visiting Japanese University and Hong Kong teams. In the years following his time in China, Liversedge became a highly decorated Marine and a genuine American hero. In one of several citations that he received during his military career, he was awarded the Gold Star for his extraordinary heroism in action against the enemy while serving as a commanding officer of a Marine regimental combat team on Iwo Jima. He landed on the fire swept beach twenty-two minutes after H-Hour in order to personally direct the assault of his regiment on the ground. Led by Colonel Liversedge, his regiment fought a ferocious battle for Mount Suribachi eventually seizing it. A scene captured in one of the most iconic photographs of World War Two. Sadly, Liversedge died young, aged 57 in November 1951 following complications after an operation. His formidable exploits as a Marine were recognised nine years later when Liversedge Hall was dedicated in his memory at the Marine Corps School, Quantico, Virginia. His American and China rugby exploits were a footnote to his extraordinary life but still deserving of recognition as remarkable part of the history of American rugby football. This entry was posted in China, Clubs, Uncategorized. Bookmark the permalink.